Big thank you to Shaneen from Framed and Booked. Remember how I was her winner for her "Give a Friend a Book" giveaway? 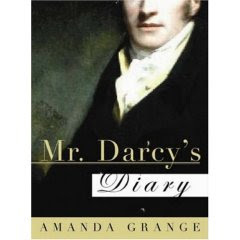 Well, my choice Mr Darcy's Diary came in the mail today. How I love to get something that isn't a bill come in the mail. Yeah...It's nice to get books in the mail, especially freebies!! That's cool. Let's us know how you like it!! Books in the mail are the best! It's always such a joy to get a book in the mail, isn't it? I can't wait to read your review of this one. Hope you love it! I've been hearing so much about this book all of a sudden. I'm intrigued!